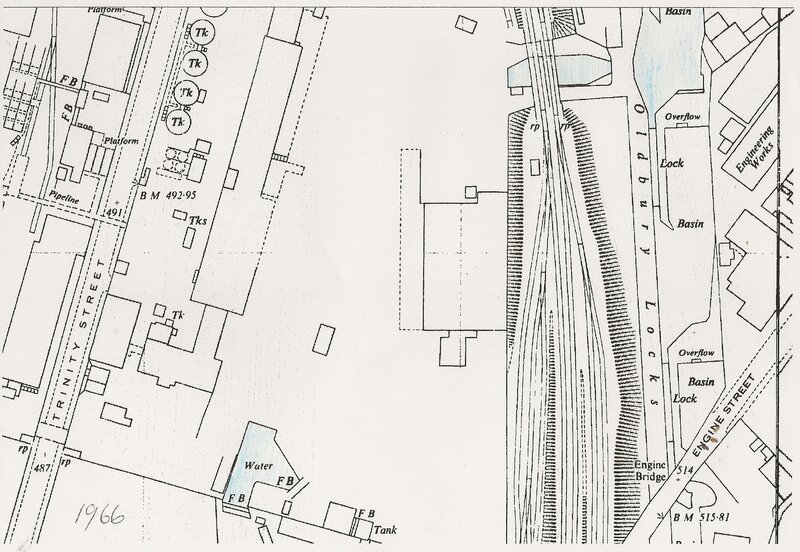 Historic Deed map from British Waterways showing entrance from Titford locks. It is clear from these two county series maps from 1957 and 1966 that the bulk of The Jim Crow arm had been mainly infilled by 1966. This stretch of locks was known to be heavily polluted by the chemical industries that fed it. The picture below confirms it. 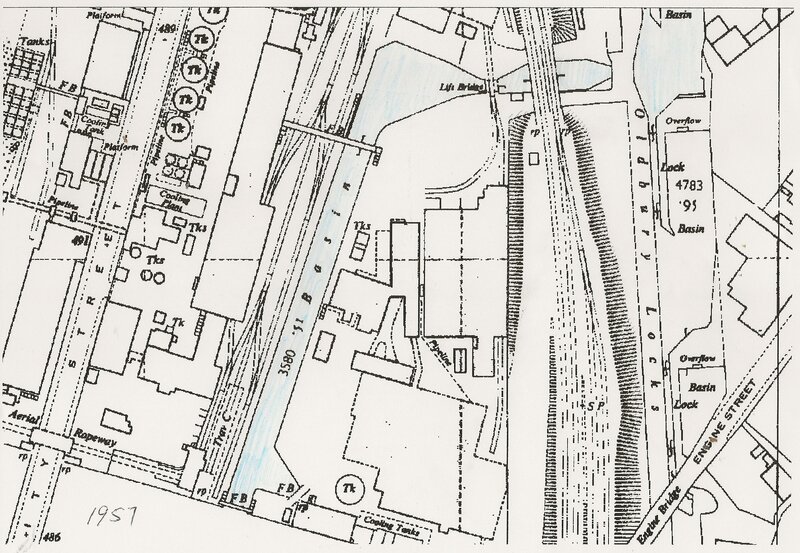 Note the differing colour of the canal spilling out of The Albright and Wilson/ICI connected Jim Crow arm compared to the Titford canal above it. 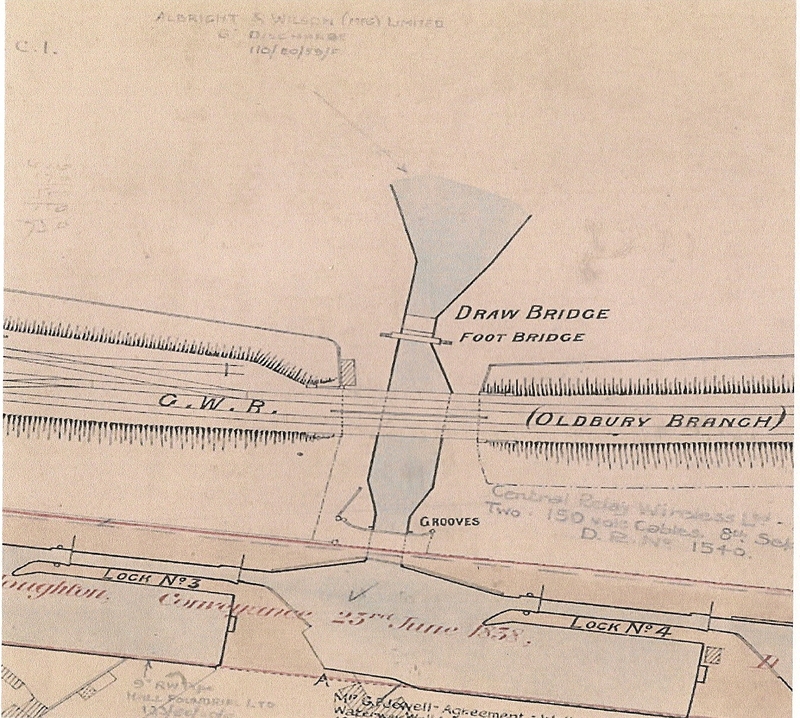 Connections here flowed to Edgbaston Reservoir, and don’t forget when it was dredged- Rattlechain lagoon. 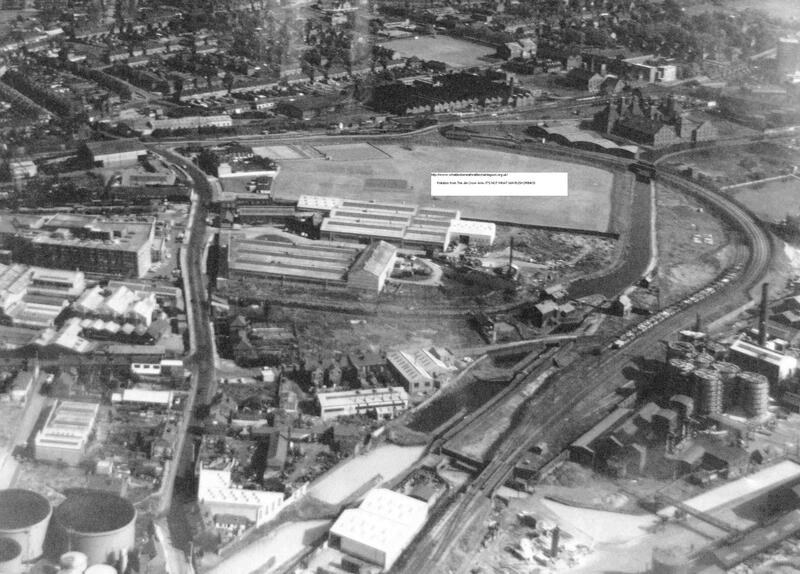 Just a few years after this 1962 picture, volunteers would be cleaning out the abandoned stretch of contaminated locks! JIM CROW ARM POLLUTION- AND WHERE IS IT FLOWING FROM? 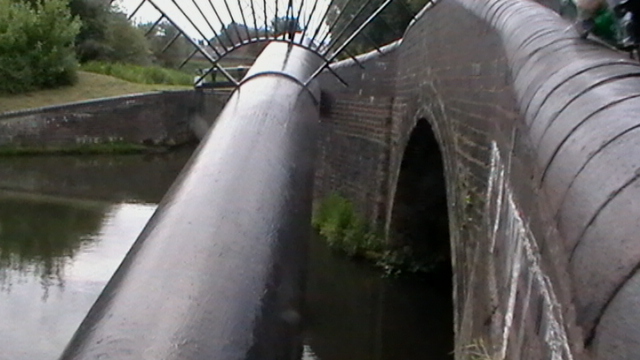 A freedom of information request was asked of British waterways concerning what information they had about the infilling of this canal arm. In “BCN- a cruising and walking guide” from 1984, this document notes the now missing Jim Crow arm and the unmistakeable works nearby. 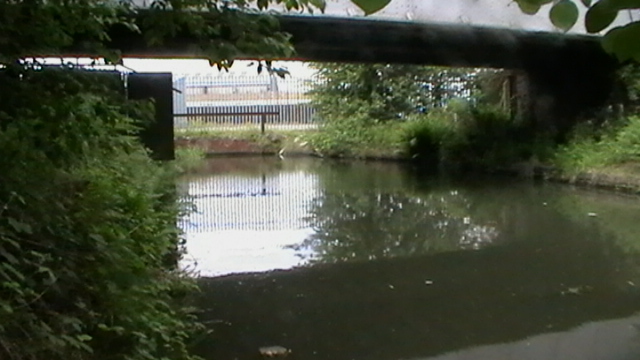 The remains of the Jim Crow arm in 2010 from entrance on Titford locks, now meeting at a dead end are shown below.